​Marion County Environmental Services has teamed up with the Salem Puppet Parade to promote creative reuse at the annual Choose Reuse Salem Puppet Parade. 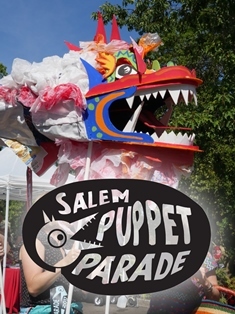 The Salem Puppet Parade will take place Saturday, September 22rd at 12:00pm. Participants are invited to dance, pedal, skate, or strut their artful puppets down Winter Street from Grant Community School to the Salem Saturday Market. This is part of a larger event called Open Streets Salem.